The U.S. municipal-bond market is desperately lacking enforcers. 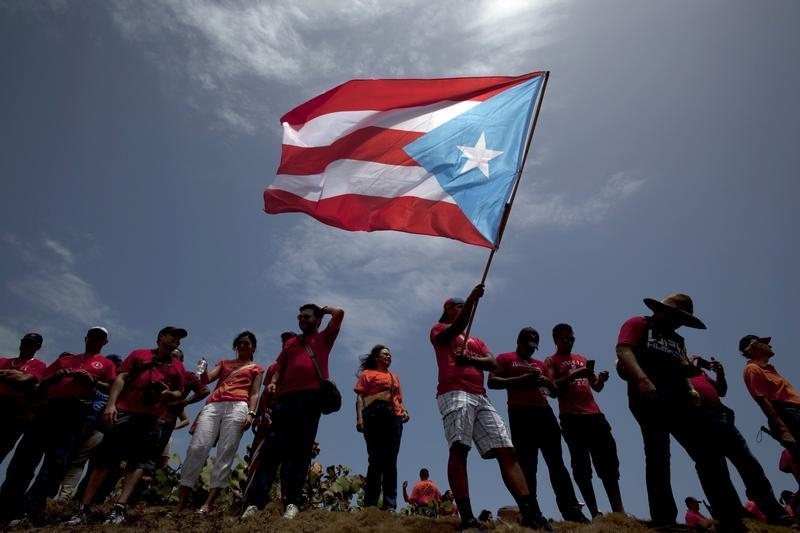 Puerto Rico’s debt crisis is the latest example to expose the shortcoming. Foolish financial crowds had better wise up to other danger zones. Since investment strategist Ed Yardeni coined the term “bond vigilantes” in the 1980s, it has become somewhat accepted wisdom that if public officials are unwilling to rein in spending, markets will do it for them by making it pricier to borrow. That failed to happen in Puerto Rico. The Caribbean U.S. territory’s public debt has soared to around $70 billion from under $40 billion in 2006, when expiring manufacturing tax breaks pushed its economy into a recession from which it has yet to recover. The burden is crippling for the island of 3.6 million people, where the poverty rate exceeds 40 percent. High unemployment and rising emigration mean last week’s decision to skip $37 million of scheduled interest and principal payments is probably only the beginning. As recently as 2012, yields on Puerto Rico’s general obligation debt were just 2 percentage points higher than an index of similar bonds rated AAA, according to Thomson Reuters Municipal Market Monitor. That’s about as much as other government borrowers on the low end of the investment-grade scale were paying at the time, despite debt levels already topping $60 billion. It was only in 2013, after years of deficit spending and economic stagnation, that borrowing costs belatedly started to surge. Several factors came into play. First, failure to pay is rare. For 2015, the default rate on municipal debt through November was less than 0.2 percent, according to Bank of America Merrill Lynch. Puerto Rico bonds are also exempt from federal, state and local income tax, making them hugely appealing to retail investors and mutual funds. Throw in near-zero U.S. Treasury rates, and it’s no wonder discipline weakened. Other cash-strapped local governments, including those of New Jersey, Illinois and the city of Chicago, also might have been spared some of the trouble they now face by more discerning debt investors. Without bond vigilantes, fiscal profligacy is all but inevitable. Puerto Rico at least represents a chance to relearn the lesson. Puerto Rico’s infrastructure authority did not transfer funds to its bond trustee to pay debt due on Jan. 1 on certain bonds, according to Jan. 5 regulatory filings. The island had said it would pay the bulk of $1 billion debt due on Jan. 1, but that some bond issues would not be met. The debt due was postponed to Jan. 4 because of the holiday. The U.S. territory, which is struggling to service some $70 billion of debt, said it would make a full payment on nearly $330 million of general obligation bonds protected under the island’s constitution.